Wekiva Falls features full hook up sites and modern amenities close to nature. Enjoy swimming in our spring or heated pool, canoeing on the Wekiva River, planned activities in the clubhouse and so much more! 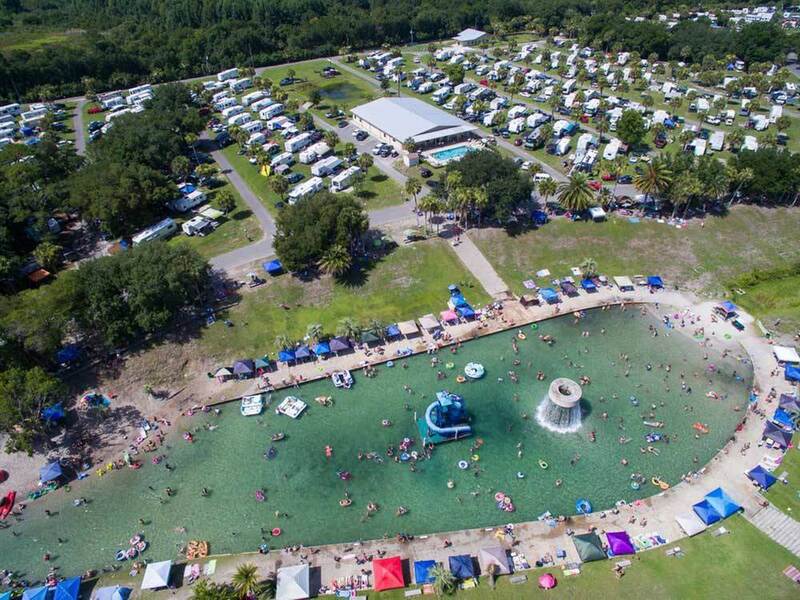 We arrived at Wekiva Falls RV Resort mid-December 2018, planning to stay through February 2019. We have really enjoyed our stay, finding the facilities exceptional, staff extremely friendly and helpful, and the amenities very good. The fulltimers and transients we have met have been very nice, helpful and engaging. Unfortunately, we had a mechanical issue needing repaired, however, the RV service provider recommended by Wekiva's staff were exceptionally prompt, courteous and responsive. There are many entertaining and interesting places to visit that are within an easy drive from the resort, including trips to Orlando/Disney World. We have enjoyed our stay and will definitely stay here again, if we find ourselves in the area. Just a very nice campground. Only overnighted here. 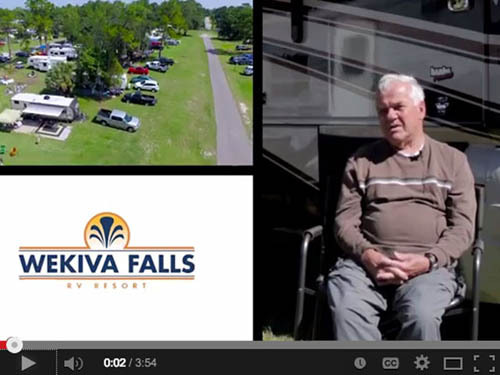 We love Wekiva Falls RV resort!! They are very friendly and accommodating if you need help. We have wintered there for the past 5 years and there are a lot of upgrades. The drainage is good, there are cement patios at a lot of the sites, they have a new dog park, there is a new exercise room, the new tiki huts around the lagoon are awesome! We love that they have reduced the traffic in the park by requiring the weekenders to park near the entrance then walk to the lagoon. We heard there will be a trolley to transport people from the parking lot to the lagoon. That just shows how the owner listens to their customers and finds a way to make things work! We will be back again next year! We're full-timers, with a 7-year old. This park is much nicer than the website shows. We've been here a month, and will stay longer. We've checked out other parks in the area, but NONE of them has the Wekiva Spring: a huge artesian-fed swimming area and sand beach, plus separate heated pool. More space between rigs than other parks, at a lower rate. Staff has been great, without exception. Park owners are making continual upgrades to the infrastructure. This place has a friendly staff but the camp sites are in need of work. We had a premium site but I really could not see why it was classified as such other than it was the end of a row. It was full of sticky sandy mud and among some pretty old mobile homes. The concrete pad for the picnic table was all broken along with the table itself. The sticky mud was also full of ants. The restrooms were clean but old.